The Bengals hired Jemal Singleton as their newest running backs coach. 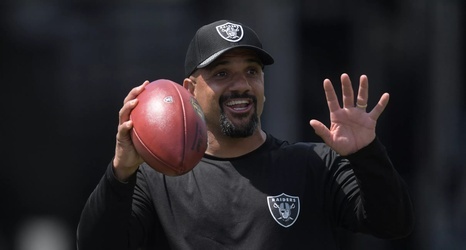 He is coming over from the Oakland Raiders after spending a season at the same position and coaching alongside with Brian Callahan, Cincinnati’s newest offensive coordinator. This is Singleton’s third stop in four years in the NFL. Singleton didn’t have much to work with last season in Oakland. He did get 4.2 yards per carry out of Marshawn Lynch and Doug Martin in 2018, which all considering is pretty good. He hasn’t had a back like Joe Mixon to work with, so it should be interesting what his role will be with helping these running backs adjust to this new offense.